Summer is quickly coming to an end with my kids starting back to school this week. My promise to myself this summer was to be more creative and I’ve exceeded my expectations. I’ve picked up my sketchbook, I’ve doodled, I’ve painted, I’ve started to learn hand lettering (and calligraphy), and I finally bought myself an iPad Pro, Apple Pencil and Procreate app. My creative juices have exploded this summer and it’s starting to feel like I did when I was younger before I had motherly responsibilities. It’s been a wonderful summer for me in this regards and I feel much more balanced. 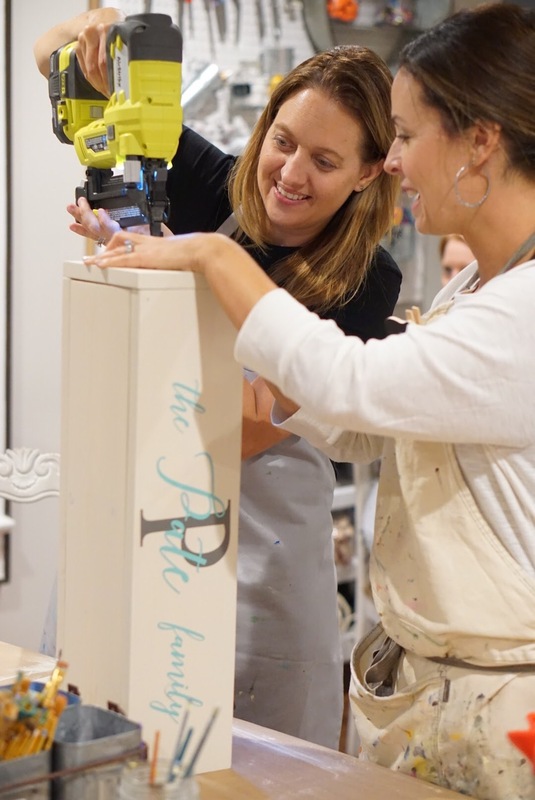 I was incredible excited to have been invited to a DIY Workshop at our local Aerie Lane in Safety Harbor. 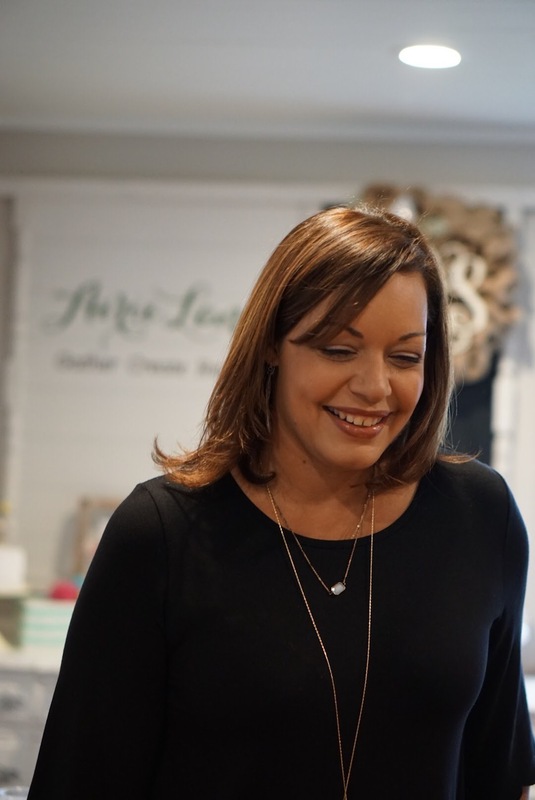 This is the original Aerie Lane and is operated by the founders of the company, Sheyla and Courtney. 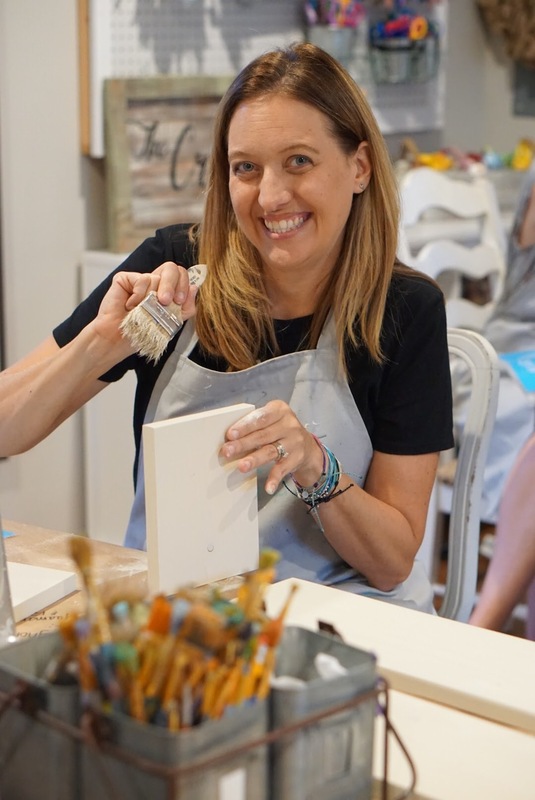 Along with a group of local bloggers, I spent an evening with Sheyla painting and putting together their large rustic centerpiece. 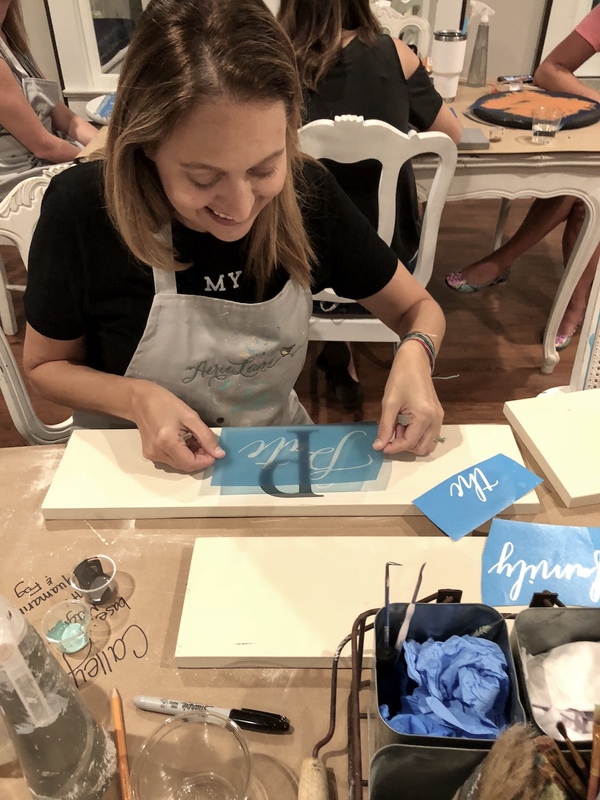 Sheyla and her team welcomed us with an evening full of more than just crafting; we gathered with our friends, laughed, and learned a little bit more about each other. While I felt right at home in the creative space, some of the ladies were not natural crafters. 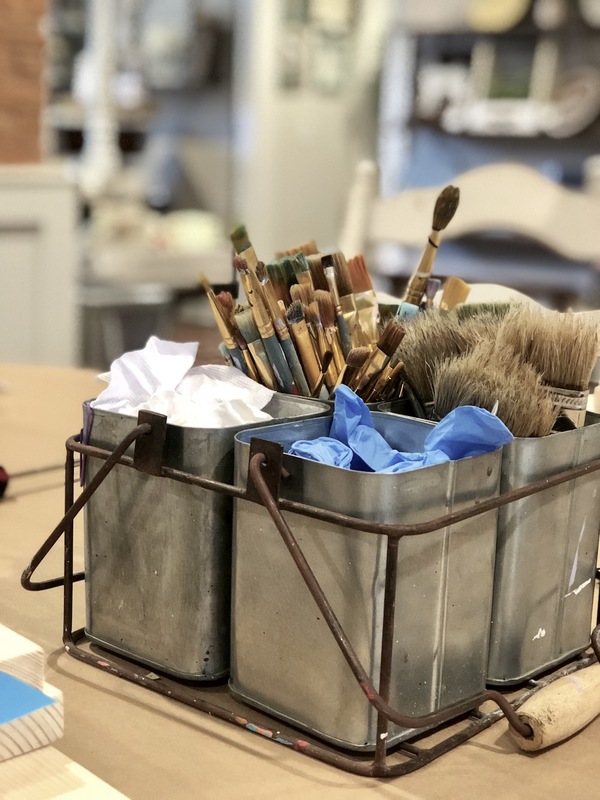 That’s one of the wonderful things about Aerie Lane is that anyone can create their projects when teamed up with the amazing employees. They walked us through the projects step by step and we all painted (or stained) our wooden pieces, applied our stencils, painted on our designs, and finally put the pieces all together to form the finsihed project. This meant using power tools like drills, screw drivers, and nail guns. I think I had more fun using the nail gun than I should have! The workshop took us a few hours to complete and there were moments of downtime while we waited for the paint to dry. During this time we enjoyed appetizers, drinks, and the company of those around us. We helped one another when two hands just weren’t enough. We laughed over silly mistakes and learned a little more about each others blogs, hobbies, and businesses. 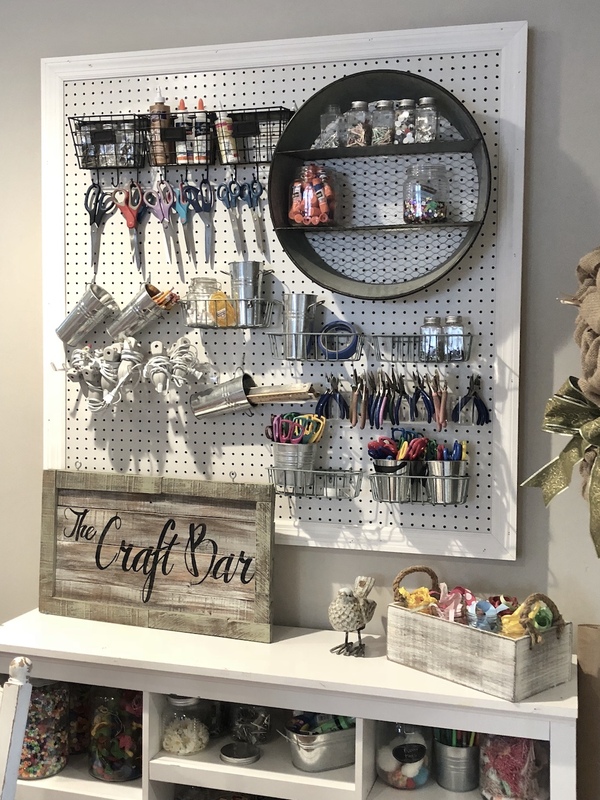 In addition to DIY Workshops, Aerie Lane offers a Craft Bar where crafters can bring in their own projects and use the supplies that Aerie Lane has on hand. 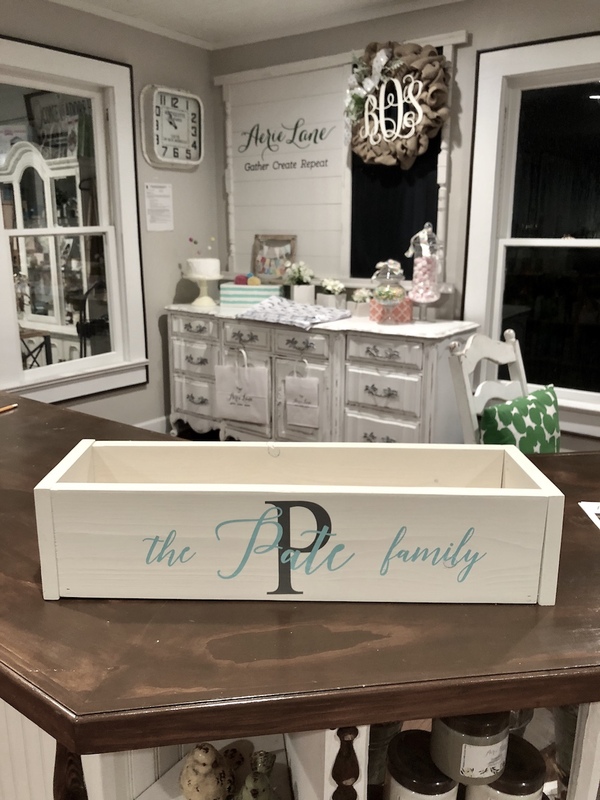 This can be a big help to crafters who are just getting started or to crafters who don’t have space in their homes to create. They also have a retail shop with projects that local crafters have created. 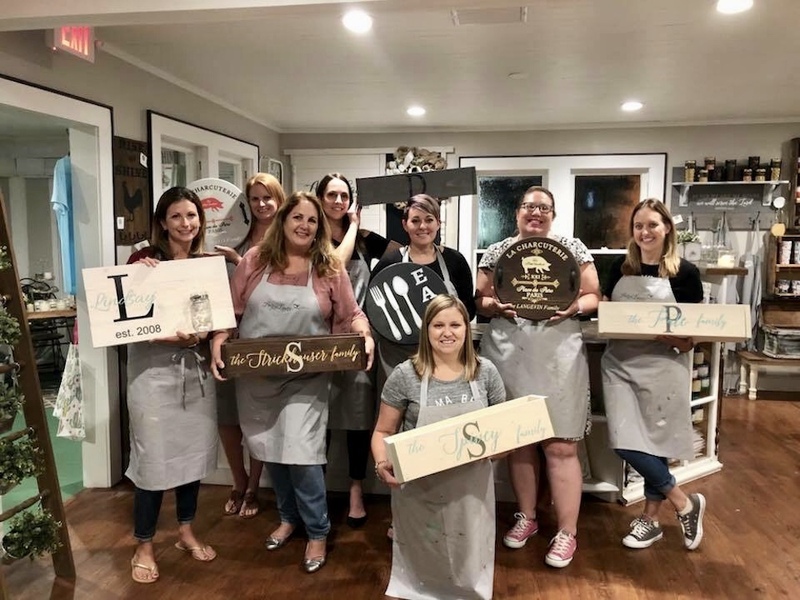 Aerie Lane also hosts private events such as Girls Nights Out, birthday parties, fundraising, and team building events. Their events would be perfect for a tween-teen birthday party or for a group of Girl Scouts. The hardest decision now is what should I put inside my centerpiece? I don’t have a green-thumb so I think I’ll be visiting the local craft store looking for some artificial succulents. It will look great on our dining room table once I’ve added some greenery. 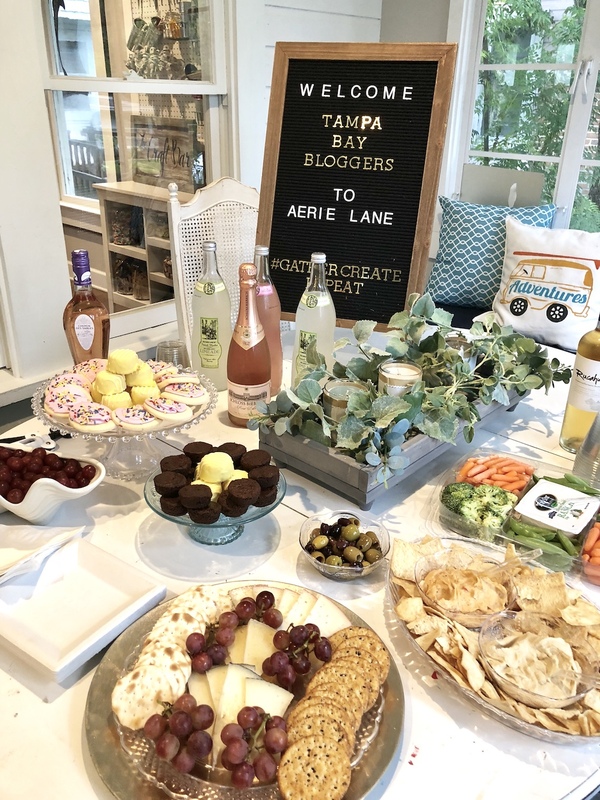 Thank you Aerie Lane for sponsoring an evening with the Tampa Bay Bloggers. I had a wonderful time and can’t wait to visit again.